Devin terSteeg's writing is influenced by Ray Bradbury, George Saunders, Miranda July, Feodor Dostoevsky and the incredible Orson Welles. Radio Sphere, his 2015 novella, is set two hundred years into a post-apocalyptic world, where humanity struggles with diminished resources and shrinking ambitions. Radiation has poisoned minds as well as matter, and people are running out of the critical supplies of civilization. (http://www.amazon.ca/Radio-Sphere-Devin-terSteeg-ebook/dp/B0121JTRG0) Meanwhile, a mysterious alien race observes the ruins of humanity and tries to make sense of what it sees. Join Devin with me, Tracy Lawson, Wednesday night. I can't wait to find out how TerSteeg built the world of Radio Sphere. Everyone's favorite Chief Liberty Officer, Jeffrey Tucker, is back for another dose of Liberty Classics. This week, he's chatting about Ludwig von Mises's great work, Socialism. This book is a legendary classic. This is not a book for the shelves. It is a book to read and engage right now, right where you are. It is a book that explains vast amounts of the reality we are living right now. It was written in 1922, but it works as a decoder to today’s headlines. How can that be? Most people assume that socialism has somehow been defeated. Not so. It has spread out all over the world in different forms. Mises’s book addresses every conceivable form of the socialist idea. He shows you how to find the errors in Obamacare, QE3, the education bubble, the U.S. imperial wars, environmentalism, and so much more. There are insights on every page. In this episode of Liberty Classics, Jeffrey Tucker and Stephan Kinsella discuss Against Intellectual Property. "Mises had warned against patents, and Rothbard did too. But Kinsella goes much further to argue that the very existence of patents are contrary to a free market, and adds in here copyrights and trademarks too. They all use the state to create artificial scarcities of non-scarce goods and employ coercion in a way that is contrary to property rights and the freedom of contract." 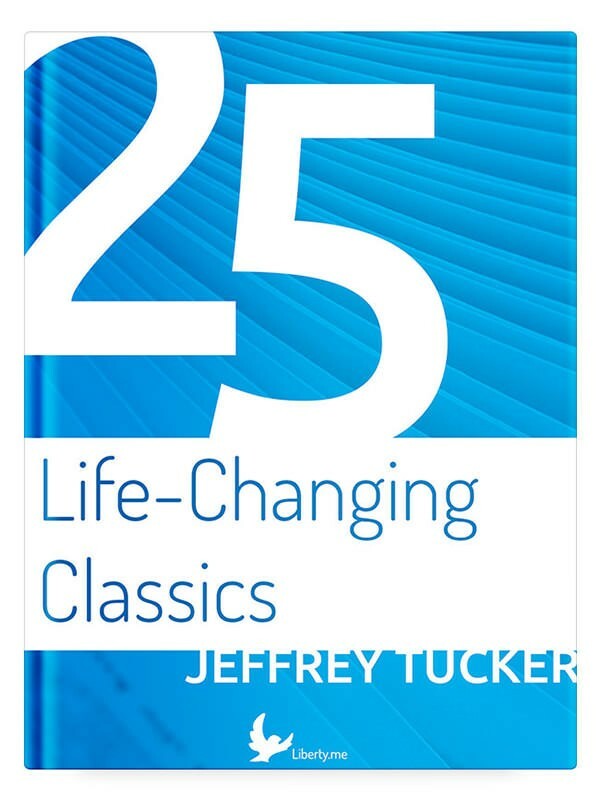 For more by Jeffrey Tucker, check out his book, 25 Life-Changing Classics. Make sure you also check out Stephan Kinsella's Liberty.me guide, Do Business Without Intellectual Property! This remarkable book is the most comprehensive, sweeping, compelling, and unsettling case ever penned against what is laughingly called the "criminal justice" system. It is a classic, devastating at its core, that is made newly available to speak to us in our times in which the state is completely out of control. Clarence Darrow is best known today as the Chicago lawyer who defended John T. Scopes in the Scopes Monkey Trial in 1925. But that case actually played a minor role in his life. He was an attorney by training who, from experience, learned that the entire state apparatus of courts, trials, and prisons was the worst single feature of the state. He saw the entire machinery as a gigantic fraud, a purveyor of injustice, a producer of criminality itself, as has noted by many in the legal treatment of the Eric Garner murder. Join Jeffrey Tucker on December 28th at 8pm EST for this session in our Liberty Classics series. Jeffrey Tucker will guide you, week by week, through 25 of the most important works in the classical liberal and libertarian tradition, all of which are available free with your subscription to Liberty.me! 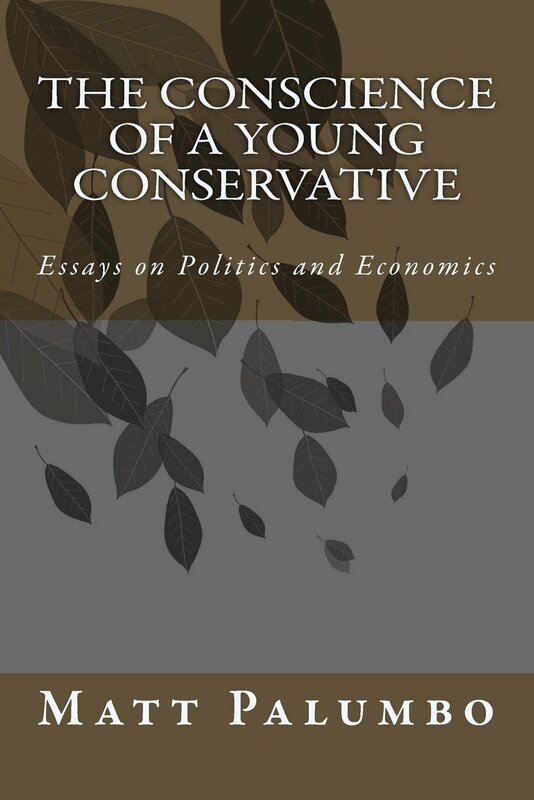 The enduring power of this book is due to the enduring power of economic logic. If it is done well, it applies in all times and places. And this book does economics extremely well. In times when economics is subject to vast political manipulation, when people have abused the science to push political agendas contrary to everything economics stands for, this book stands out as a clear, objective, and rational statement of the core of what economics teaches. Join us Sunday, December 14th at 8pm EST for Liberty Classics, as Jeffrey Tucker guides you, week by week, through 25 of the most important works in the classical liberal and libertarian tradition, all of which are available free with your subscription to Liberty.me! Why does the state have power and why does it persist? Renaissance philosopher and public intellectual Étienne de La Boétie explained that it is due to public tolerance. Despite all the coercion used by the government, it is the deference of the people toward public authority that gives tyrants their power. His plea is for people to withdraw that consent and deny the tyrant his authority. This is the way we see state’s collapse. Jeffrey Tucker explains that this is precisely what is happening in our time Sunday, November 9th at 8pm ET! If you were going to name the single greatest book in the social sciences from the 20th century, it would be Mises’s Human Action. Jeffrey Tucker discusses the history of how it came to be written and its main themes. Human Action is a book that you can never stop reading. No matter how many times you read it and reference it, there always seems to be more to discover. Join Jeffrey for a discussion of this book and its legacy Thursday, October 30th at 2:30pm ET! L. Albert Hahn's 1949 book, The Economics of Illusion, was a blistering attack on the Keynesian paradigm which then dominated academia. A prominent German banker and economist, Hahn immigrated to the U.S. from Germany in 1940 as World War II threatened to expand. As Hahn was a former Keynesian himself, he possessed a keen understanding of the true perils of that system, particularly during war, and sought to tear it down from its foundations. Join Jeffrey Tucker as he discusses this book Sunday, October 19th at 8pm EDT! Murray Rothbard's classic essay makes the case against egalitarianism, communism, primitivism, and romanticism, and makes the case for liberty, inequality, and the division of labor. In a time in which government policy drives us ever further back, we can look on Murray Rothbard's strong argument for freeing the private sector to push us forward. Join Jeffrey Tucker to discuss this controversial liberty classic Sunday, September 28th at 8pm ET! Knowledge is a good, perhaps the most important good, something vastly more important than all physical property combined. It is the driving force of history, the immortal, sharable, reproducible, malleable substance that has built our world and makes possible the forward motion of history. This essay shows why it is not possible for this knowledge to be produced or used by centralized agents in the civic order; rather, knowledge must be generated, extracted, and put to use by real actors using real property and interacting with the world around them. Social complexity grows organically from experience of time and place, and this can never be produced from the outside regardless of the supposed intelligence of the the planning class. Tune in to Liberty.me LIVE Sunday, September 21st at 8pm EDT to join Jeffrey Tucker in exploring this brilliant essay. Professor Gary Chartier's concise, yet beautiful, introduction to the philosophy of anarchism is a modern anarchist manifesto, written to appeal to even the most ardent of statists. This simple but powerful book explains why the state is illegitimate, unnecessary, and dangerous, and what we can do to begin achieving real freedom. Join Jeffrey Tucker to discuss "The Conscience of an Anarchist" Sunday, September 14th at 8pm EDT! When he wasn't laying the foundations of the Austrian school of economics or predicting the Great Depression, the greatest economist of the 20th century, Ludwig von Mises, was demolishing the concept that was sweeping the world: Socialism. Join Jeffrey Tucker to discuss Mises's powerful and in-depth discussion of Socialism Sunday, September 7th at 8pm EDT! What is the machine that enables human progress and civilization? Capitalism, individualism, and liberty are all boldly defended in this insightful 1943 book by Isabel Patterson. Join Jeffrey Tucker to discuss one of the most influential liberty texts of all time Sunday, August 24th at 8pm EDT! Before Atlas Shrugged, before Fountainhead, was Ayn Rand's 1938 dystopian novella, Anthem. In a world where "I" is replaced with "we," what happens to the freedom of the individual? Join Jeffrey Tucker as he discusses this classic and brilliant novella written by one of the most successful fiction authors of the 20th century Sunday, August 3rd at 8pm EDT. "The Cinder Buggy" chronicles the transformation of America from the age of iron to the age of steel. Garret beautifully portrays a battle over technology and innovation during a crucial time in American history. It is a wonderful novel for anyone who is intrigued by American history, economic theory, and the place of technology in the progress of society. Join Jeffrey Tucker as he explores this idea-filled story Sunday, July 20th at 8pm EDT. What if the government let anyone use a currency of his or her own choosing? What if the government permitted entrepreneurs to innovate in the monetary sector, such as by creating digital currencies or minting commodity money? This is precisely what F.A. 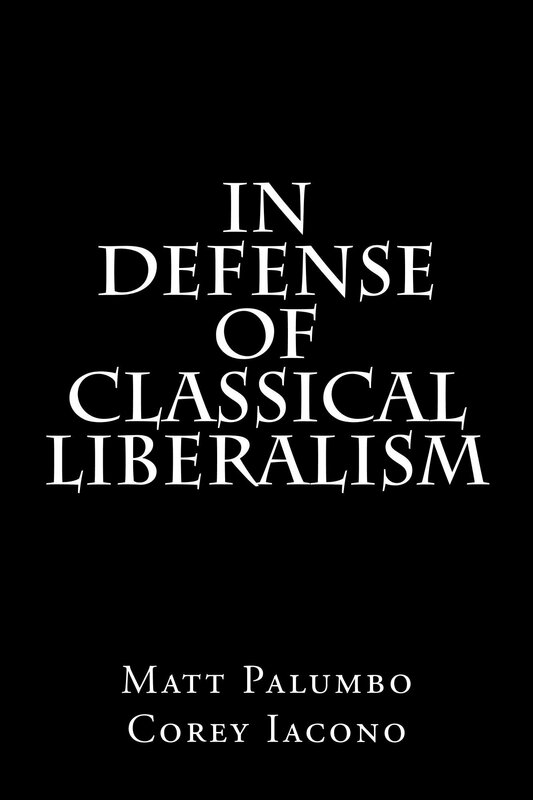 Hayek argues in this book written in 1974. Join Jeffrey Tucker for a discussion of this book, and of current innovations in monetary denationalization, June 6th at 8pm EDT! This remarkable book is the most comprehensive, sweeping, compelling, and unsettling case ever penned against what is laughingly called the criminal-justice system. It is a classic, devastating at its core, that is made newly available to speak to us in our times in which the state is completely out of control. Clarence Darrow is best known today as the Chicago lawyer who defended John T. Scopes in the Scopes Monkey Trial in 1925. But that case actually played a minor role in his life. He was an attorney by training who, from experience, learned that the entire state apparatus of courts, trials, and prisons was the worst single feature of the state. He saw the entire machinery as a gigantic fraud, a purveyor of injustice, a producer of criminality itself. 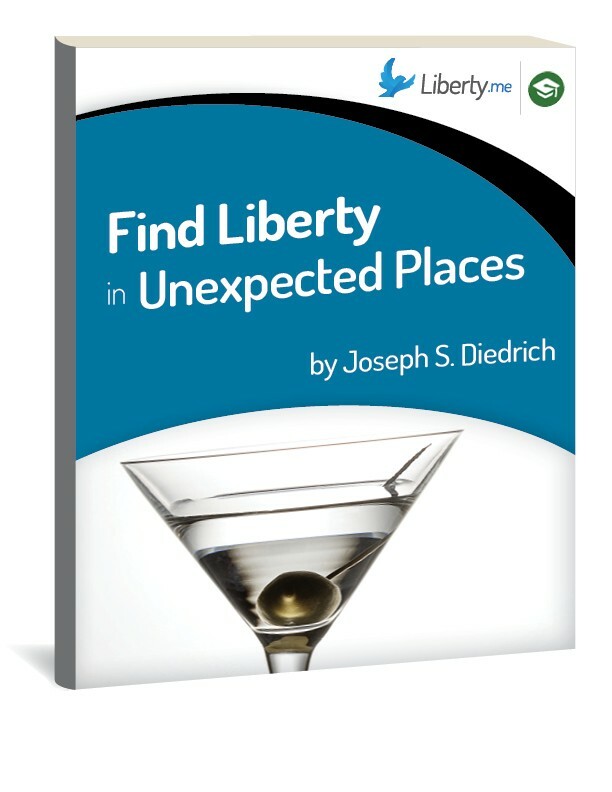 Join Jeffrey Tucker on May 25th at 8pm EST for this session in our Liberty Classics series. Jeffrey Tucker will guide you, week by week, through 25 of the most important works in the classical liberal and libertarian tradition, all of which are available free with your subscription to Liberty.me!